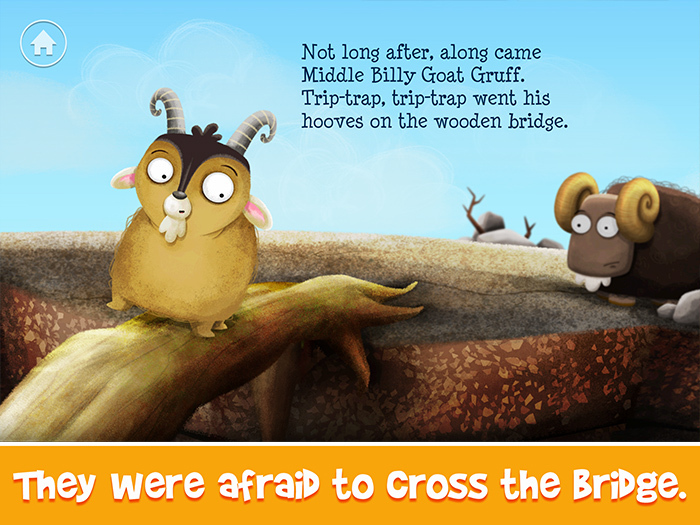 Download StoryTime: Billy Goats Gruff Now! 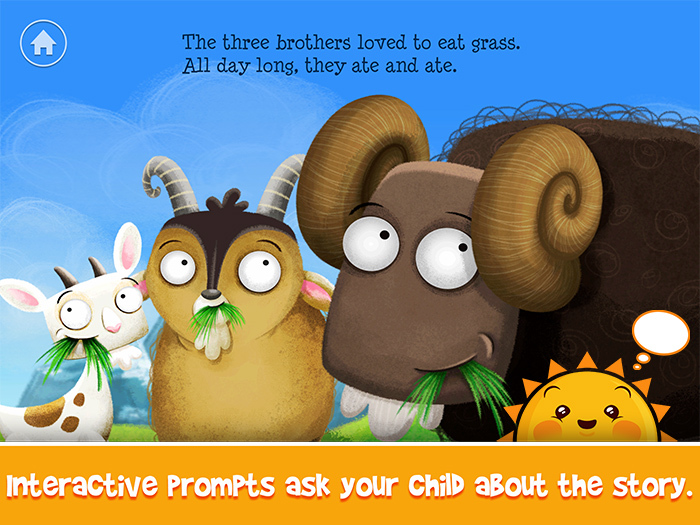 The three Billy Goats have run out of grass to eat. 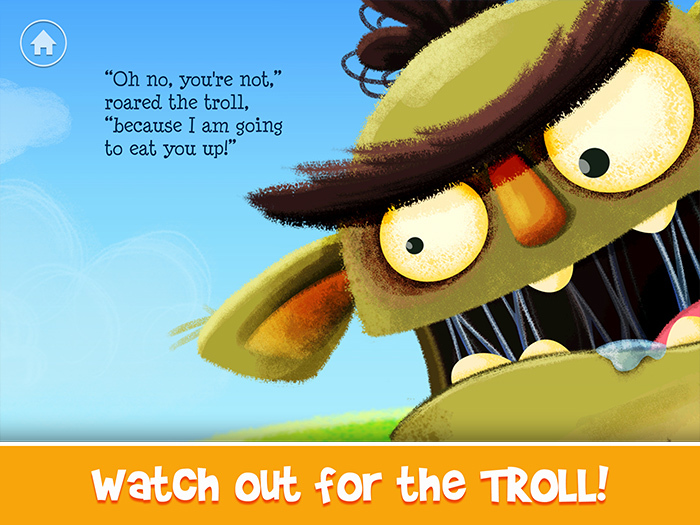 They need to cross the bridge to find some more, but a horrible troll lives underneath it. 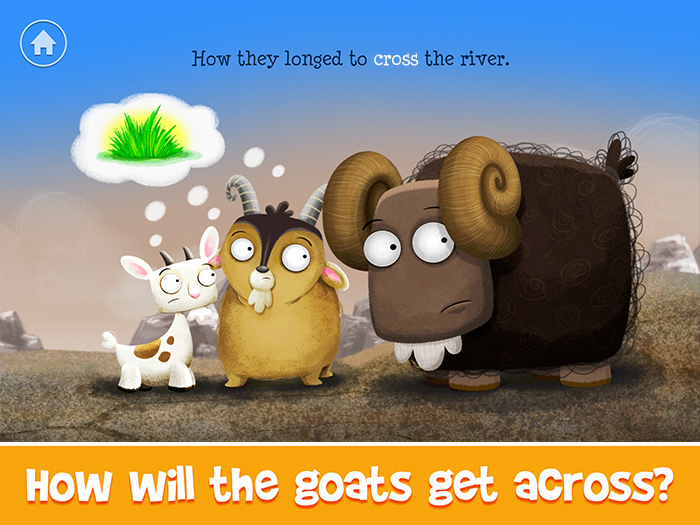 How will the Billy Goats get to the other side without being eaten? Spending time with good books encourages children to become fast and fluent readers. So give them a head start with StoryToys StoryTime books. Fire up your child’s imagination and give them the joy of reading. Books are important, but StoryTime is fun. The text is read aloud by a narrator, bringing story and characters to life. Each word changes color as it is read aloud so that your child can learn to associate text with spoken words. The text is presented to your child with no audio narration, so they have to read it all by themselves. This is great reading practice for early readers. 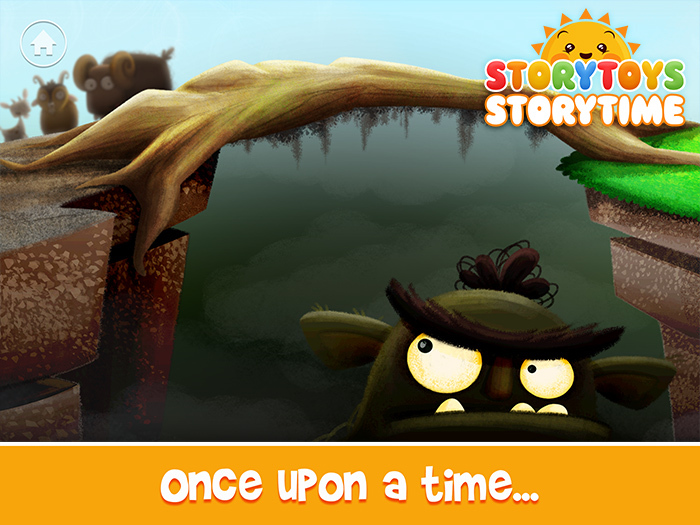 The pages from the story are presented to your child without accompanying text. If the story is familiar to them, they can retell it in their own words. This helps them to develop the key comprehension skill of identifying the main characters and events from a narrative. If the story is new to them, they can develop their creative storytelling by making up their own story. • Kid Prompts: As your child reads the story they will be presented with optional Kid Prompts at key points. Each Kid Prompt asks your child a question designed to develop their reading comprehension, by getting them to think more deeply about characters and events in the story. • A modern, humorous and interactive take on the classic Norwegian fairy tale. • Includes FREE STICKER PACK!